Counterfeit drugs as worthless and valueless, it is a crime against humanity. However, Nigerians with callous minds continue to connive even with foreign partners to unleash ‘terror’ on fellow Nigerians. In December 2016 alone, fake drugs worth N9.6 billion were destroyed in Port Harcourt, Rivers, in an operation carried out by the National Agency for Food and Drug Administration and Control (NAFDAC) in conjunction with the Nigeria Customs Service, according to a PremiumTimes report. In fact, between 2014 and 2017, NADFAC had destroyed counterfeit drugs worth N29 billion. Isn’t that alarming? Unfortunately, NADFAC isn’t making much progress in terms of securing convictions. According to the Agency, only seven persons were convicted between 2015 and 2017 for various drug offences. Results of a poll released by NOIPolls Limited further revealed that 18% of Nigerians have personally been victims of fake, counterfeit and substandard pharmaceutical products, medicines and drugs; and of those that have been victims, “Independent pharmacy/chemist” (68%) and “drug hawkers” (14%) have been identified as the two main points of purchase of fake drugs/medicines in Nigeria, as reported by guardian.ng. While these figures represent the perceptions of Nigerians, pharmaceutical experts’ suggest that many Nigerians may not be aware they have been victims of fake pharmaceutical products, especially in the absence of obvious negative effects. The poll results further indicated that the effects of fake drugs can be experienced in various dimensions depending on the ingredients that make up the counterfeit drugs thus leading to clues for the identification of fake drugs by users. For instance, about one-third (35%) of the respondents who have been victims were only able to identify that the drugs were fake when there was ‘no improvement in health at the completion of dosage’, followed by 29% who cited ‘adverse reaction’. Nigerians recognise the prevalence of fake drugs in the country, several suggestions have also been proffered to combat the sale of fake, counterfeit and substandard drugs, which include – the ‘shutting down of any outlet identified for selling fake drugs’ (29%); ‘arrest and prosecution of offenders’ (15%); and the enforcement of ‘drug authentication’ (10%) among others. Interestingly, findings from the poll revealed that about one-third (33%) of respondents who have been victims ‘took no action’; however 32% claimed they ‘discarded/destroyed the drugs’ upon realising they were fake. This is where eMedrep.com.ng a Sidmach startup company wants to step in. The Lagos-based healthcare startup is out with a mobile app- ReportThat, a free platform designed to reduce the circulation of fake drugs and fake products in Nigeria. This will empower Nigerian to become potential informant to the National Agency for Food and Drug Administration and Control (NAFDAC) and sister government agencies. 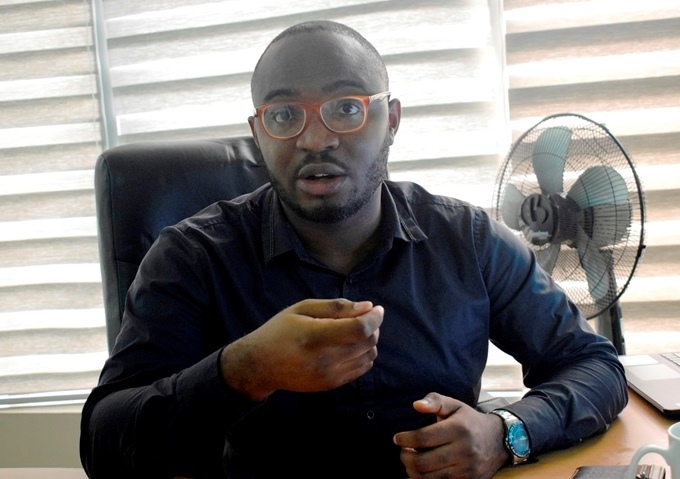 In an exclusive chat with TechEconomy.ng, the founder/CEO, Edwin Ajogun, said technology startup’s mandate is to develop solutions that will improve the lives of Nigerians by ensuring they access quality healthcare products and services no matter the status in the society. “We build solutions that help to minimize the prevalence of fake products. Our intention is to enable manufacturers safeguard their supply chain so that everyone can access top quality products. We noticed that those who occupy lower class in the society have less access to quality healthcare products. We want this to change. 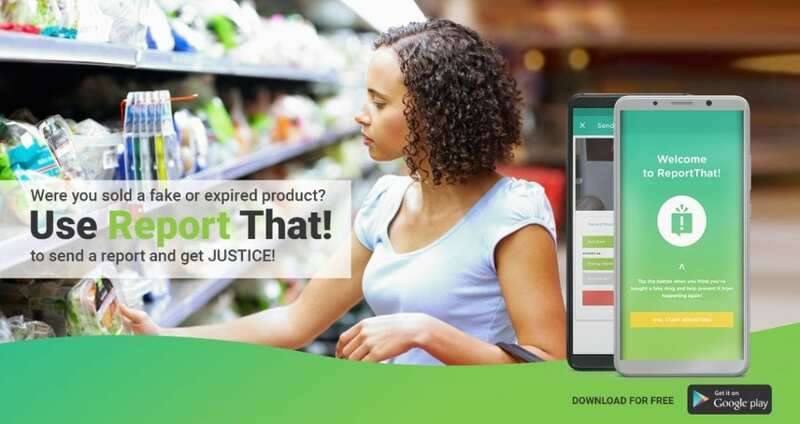 “Our flagship product ReportThat (available on Google Play Store) is an app that enables consumers to securely report purchases of fake products to regulators, find verified vendors and verify the authenticity of products before purchase. “Then, this app will empower every Nigerians to become a potential NAFDAC, SON or CPC informant. It is whistle blowing using technology. We don’t want people to just go to social media post complaints about unfair deals; there should be genuine approach to rid the society of these unwholesome products. NADFAC is powerless without data or adequate information to prosecute offenders. With our app we are providing Nigerians with opportunity to initiate the process for prosecution. ReportThat enables a user to take picture of the product, geo-locate the place of purchase and report. Take a picture of the product and receipt. How will it assist NAFDAC? eMedrep has already approached NAFDAC for partnership. Although there is no official partnership yet, but the developers are working on providing them with data as they are generated. Thanks goodness, NADFAC is reportedly interested in this technology. “Already, we are building a dashboard such that when someone reports, it gets to them (NAFDAC) directly at such a time a partnership is agreed. The long term benefit of this product is this: as Nigerians we will be mapping everywhere they bought fake products, within two to three years we will have a map that will show hotspots where these fake products are sold. In short, we will be using data to fight fake products. “It is a much more cost-effective and efficient way to do so. So, it is a means of using AI to fight fake products which requires data. We actually need participation of every well-meaning Nigerians to download the app and start keeping catalogue of everything you have bought. The app is already on Google Play Store”, Ajogun said.